All of our products are available with any type of engraving you desire. For example, we can have the artist sign his name on the piece for you if you desire. We can also engrave a small date or your own name/initials on any of our pieces. 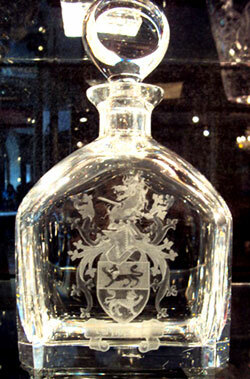 We can also have any customised image you can think of engraved on to the crystal itself. Go ahead and challenge us, we would be happy to accommodate your own personal request. 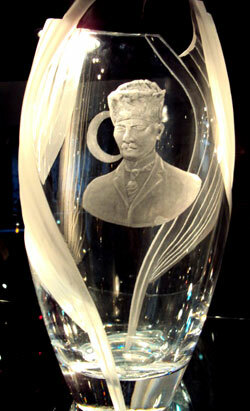 We offer this service in conjunction with Seán Egan Art Glass. 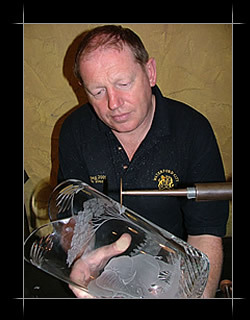 The best crystal & glass engraver in Ireland. Seán uses traditional copper wheels and hand engraves all of his work. Specialising in engraving nature, wildlife & landmarks...Sean can engrave any image on any piece.